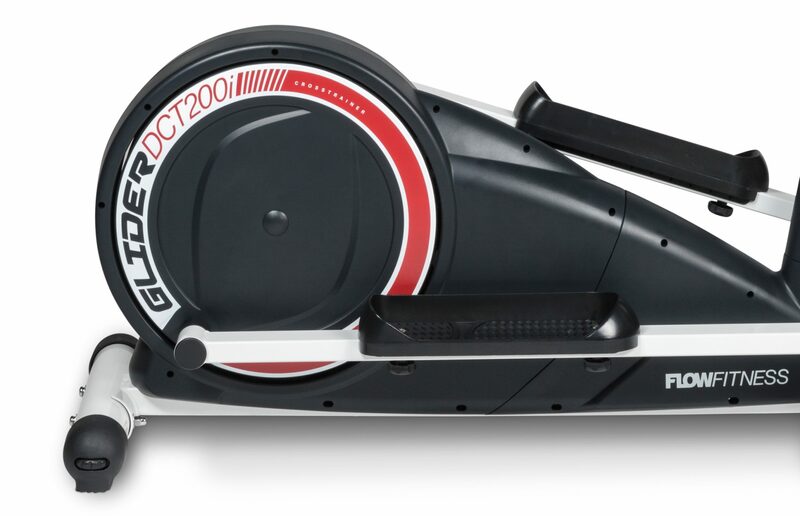 No two workouts are the same with the DCT200i. This stable and quiet elliptical crosstrainer has no less than 24 different workout programs. 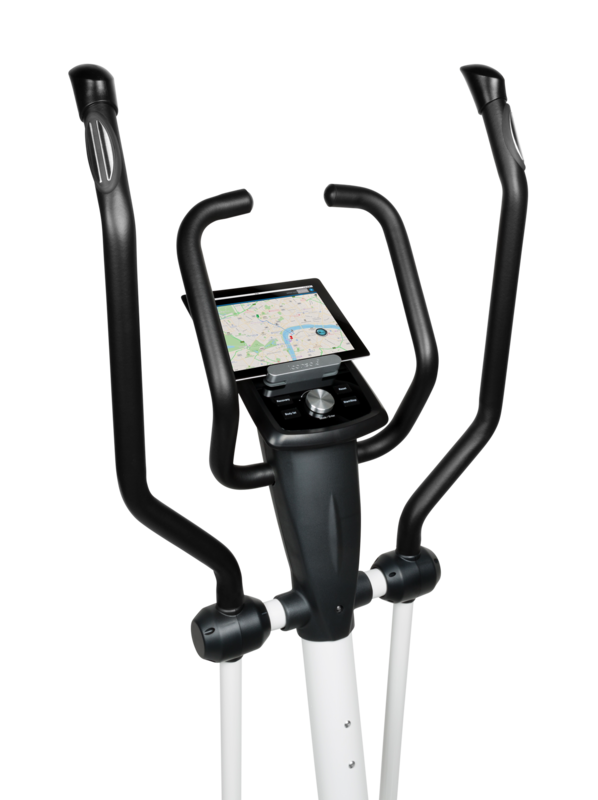 You can operate the LCD display with the handy Smart Wheel, and you can easily pair it with a smartphone or tablet via Bluetooth, so you can also work out with your own apps and music. Because of the magnetic resistance system, the DCT200i is very quiet to use. The smooth magnetic resistance system offers a wide range of 16 levels, from no resistance for a cardio workout to very heavy for a strength workout. 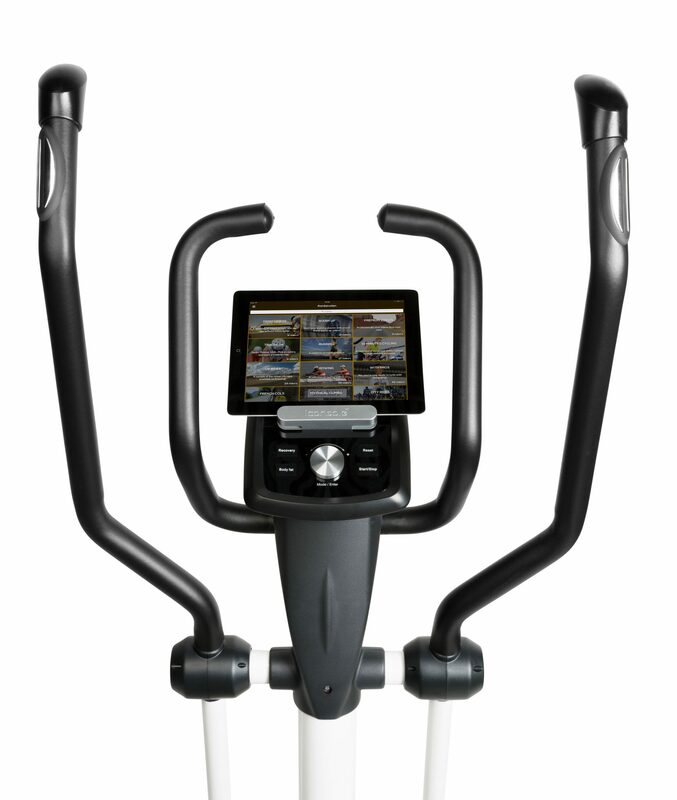 Because this elliptical crosstrainer includes a Bluetooth receiver, it is easy to pair it with your tablet or smartphone (one-time set-up). Various free apps can be downloaded, with which you can considerably expand your options. The pedals can be adjusted to 3 positions. It is therefore possible for everyone to work out in a natural position. This elliptical crosstrainer has a stride length of a full 39 cm. This creates a long, smooth elliptical movement that feels natural and effectively trains your muscles. Experience the outdoors indoors! Download various free workout apps. Via Bluetooth, connect your console to your tablet or smartphone, so you can make your workout even more fun and challenging with your own apps.